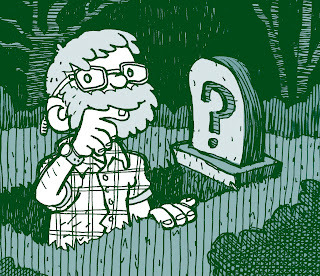 gobnobble -- the comic work of David Allan Duncan: Self-Portrait for the unsolved mysteries book. Self-Portrait for the unsolved mysteries book. Here's the self-portrait that will accompany the story I drew for Hic & Hoc's upcoming anthology, Unknown Origins & Untimely Ends: a collection of unsolved mysteries. They are planning on releasing the book sometime in or around February 2013.